A federal judge in California has blocked the Trump administration's order to withhold certain funding from communities that do not cooperate with U.S. immigration authorities. 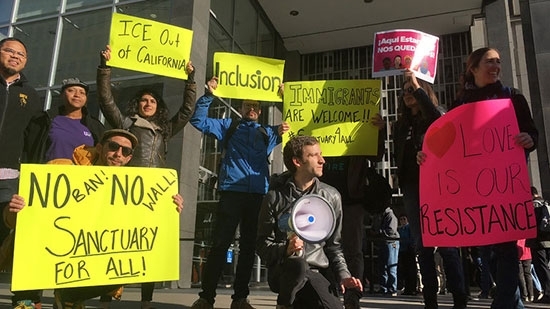 U.S. District Judge William Orrick in San Francisco issued a temporary stay while a lawsuit against the executive order on sanctuary cities is argued in court. Last week, the Department of Justice sent letters to several cities, including Philadelphia, reminding them that they would lose certain grant funding if they are not compliant with federal immigration law. That would be about $1.7 million for Philadelphia. The cities of San Francisco and Santa Clara County, who filed the suit, disagree on the scope saying billions of dollars of funding were at stake. The deadline for response to that justice letter was June 30th.